It really hit me hard when I saw someone share that they had ‘x’ amount of summers left per child. When I thought that after this year I only have 10 summers left with Braden, 12 with Ethan and 16 with Jonathan, it really hit me hard. This, assuming that they will leave the nest after they graduate high school and not counting in that once they get their licenses at 16, they probably won’t be around home as much anyway. I’ve really enjoyed our summer this year and I haven’t wanted it to end. I love having the boys home and seeing them enjoy schedule-free days, running through sprinklers, bouncing on the trampoline and staying up late watching movies and eating ice cream. 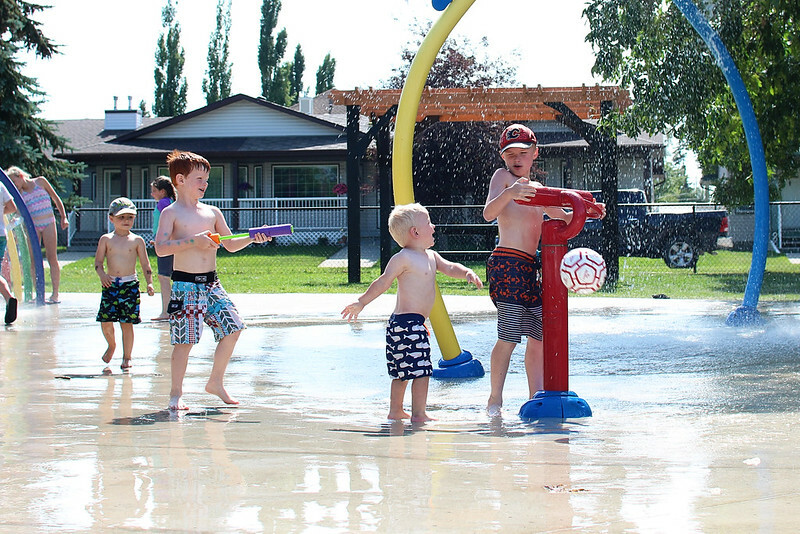 Trips to the spray park, outdoor pool and enjoying multiple rodeos have been among our favourite things to do. I love my garden and my fresh flowers, fresh veggies and the fresh fruit we bring back from B.C. 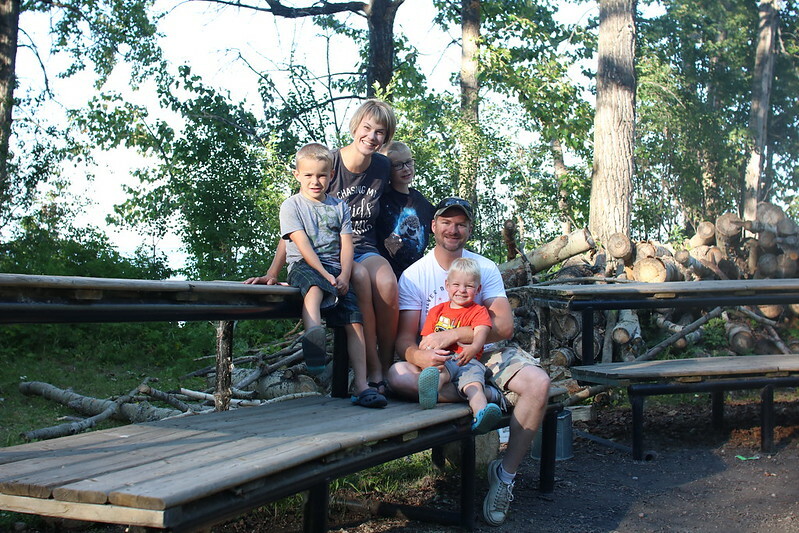 We are very lucky that with our age gaps, and just how our boys are in general, there has been very little fighting and a lot of fun-having this summer. I am really enjoying a schedule-free summer and not looking forward to being up at a certain time to get the boys on the bus and making sure they have their lunches and their agendas and so on and so on. I must become a responsible human who gets up early, once again. However, the mornings and the evenings are noticeably cooler requiring the donning of a sweater. Sandals are being traded in for socks and cowboy boots, and shorts are being traded in for jeans as harvest is underway. I, too, have had a transition of mindset in the middle of August that I realize a routine would be good for us all. Braden is used to staying up late and is having a hard time falling asleep at a decent time, and needs to be on a schedule to exercise his mind and body. Ethan needs to get into a routine of learning again or his mind will turn into mush, of this I’m certain! Don’t get me wrong, I’m not trying to be a martyr who is saying we all need to love every moment our kids are at home with us in the summer. I have been there many, many times wishing for school to start, but reading that we only have a certain amount of summers with our kids left really changed my mindset, and I have intentionally looked for the joy in having them around and have loved experiencing childhood summers again through their eyes.